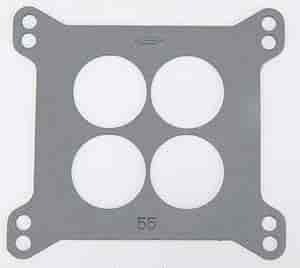 These carburetor base gaskets are made from a durable heat-resistant nitrile rubber compound material and die cut for an excellent fit. 55 is rated 2.0 out of 5 by 1. Rated 2 out of 5 by Billyb302 from Stickers with item # kill them!! The gaskets are as usual perfect fit, great quality but unfortunately the white stickers that identify the part no when removed even very carefully peel the gasket apart taking material with it. A sticker on a paper like substance is not a great idea!